Online Marketing is a very “relative” term and it is ultimately based on the desired outcome to a desired budget. Marketing has been around for a very long time. Whether used by Kings and religions from the middle ages or by pop stars and small business services today, the concept has not changed. It’s about creating perception that awakens an idea, making almost anything desirable to an end consumer immediately or over a long period of time! Marketing in the 21th century. Today’s technologies offer many positives for marketing but they also present many challenges! Unlike the middle ages, its affordable and accessible to everyone. With tools such as the internet, a very large audience can be reached by just one mouse click. Advanced sound and visuals can be used to relay an idea accurately. If done correctly, sales can go through the roof! 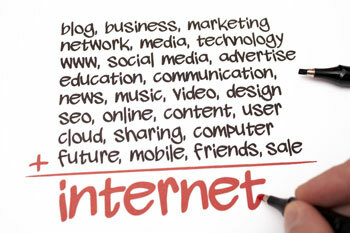 Online marketing has become an industry where too many unexperienced “start-ups” and individuals tend to sell themselves as a unique “specialist”, making promises of 1st place position placements on popular search engines, making themselves out to be Google partners insisting they know what’s best for YOUR BRAND. Our healthy track record and curriculum will give you the confidence that YOUR BRAND is in the right hands with YOUR interests being our main concern. YHP also exclusively offer the “ONE NICHE” policy which provides you with an assurance (guarantee) that we will only do our best for you and not your competitor! Book a free consultation today on 0800 WEB DESIGN or by using our ONLINE FORM and find out how YHP can help you achieve your Online Marketing Goals!